Something to Muse About: DAWN OF THE PLANET OF THE APES: Brand NEW Poster Revealed! 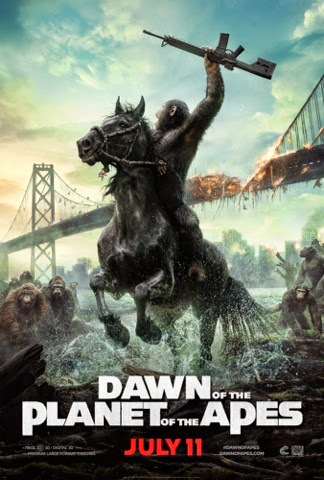 DAWN OF THE PLANET OF THE APES: Brand NEW Poster Revealed! 20th Century Fox has just released a brand NEW domestic poster in anticipation of their upcoming film,DAWN OF THE PLANET OF THE APES. #DawnOfApes hits theaters everywhere on July 11, 2014, in 3D!